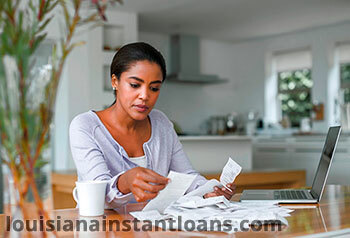 Payday loans refer to borrowing trifle sums of money for a short term at a high-interest rate. To prove their qualification, a borrower must provide a checking account, meet the requirement of steady income from employment or a benefits package, and possess a state-issued personal ID, such as a card with credentials or driver’s license to establish both identification and a place of residence. This package of documents plus a loan request are met by lenders with a required cash payment, but not before they issue a postdated individual check to the borrower and stipulate ALL the financial charges and fees. In what follows, the check covering the loaned amount and charges is held until the borrower’s receipt of income. Coming across as simple as that, payday loans, nevertheless, involve a number of controversies within the domain of alternative financial sector (AFS) services. Here falls practically anything escaping the routes of official banking institutions, including car title loans, rental purchases, payday loans and refund anticipation loans. There may be little to no resemblance between loans, and of those types payday loans alone vary greatly from state to state, based on the corresponding laws. For instance, a strict prohibition of payday lending exists in 14 states, including New Hampshire and North Carolina; however, no law stops the residents of those 14 states from obtaining payday loans in neighboring states where no such laws stay in effect. The complicacy of rules in some states may reach an uncomfortable level for payday lenders. It is true that in North Dakota, Michigan, and Colorado the discussion between legislators regarding cash advances has never resulted in something more than a potpourri of complicated compromises. In some other states, namely Colorado, Oklahoma, Hawaii, New Hampshire, and Louisiana, the rules are clear at least to a certain degree, such as the statutory inability of lenders to pursue or threat to pursue criminal charges against borrowers in case of dishonored checks. Of these, Louisiana has adopted relatively favorable legal conditions for payday loans. 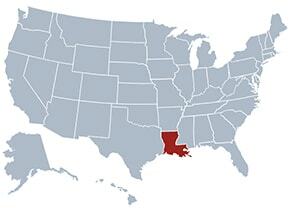 As far as the greatest loan amount is concerned, your payday loan cannot exceed $350 in Louisiana. You will normally be charged $5 for the document preparation procedure plus a maximum of 16.75% of the loan sum (with a minimum of $45). 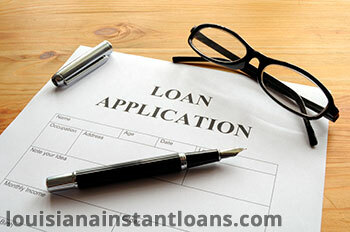 Loans are given for a period of up to 30 days. Similar to storefront lenders, loaning websites will also have to be registered by the Office of Financial Institutions and follow the same regulations. To enable borrowers to repay on time, some lenders grant their customers the opportunity of an installment payment plan without charging extras. In compliance with the existing legislation, Louisiana residents can make full use of money orders and transfers, cash advances, bill payments, payday, and title loans, employing the help of registered financial services. The purpose behind loaning ranges from unexpected bills to various kind of emergencies. When qualifying for a loan, the customer might expect a simple procedure encumbered by no paperwork; however, make sure that all the fees and charges are detailed on the check/note to pay. You also have the right to check if your lender has an official membership in any of the relevant financial organizations (e,g, the Community Financial Services Association) to ensure that you are being treated according to approved and accepted lending practices.